228 pages | 57 B/W Illus. Social media has given marketers a way to connect with consumers in an unprecedented and revolutionary way, but the very newness of this medium is as challenging as it is exciting, particularly to those who aren't 'digital natives'. This is the first textbook for students that offers a step by step guide to this newly dominant marketing discipline. Mirroring its sister text Digital Marketing: a Practical Approach, this book is grounded in solid academic underpinnings, but has a lighter, hands-on approach that is perfect for shorter courses and additional reading. Chapter exercises not only help develop knowledge, but test the learners' understanding of how the various concepts and models are best used by requiring them to investigate how they are best applied in real-world scenarios. The book is supported by the author's excellent website, which includes links to continually updated statistics as well as articles that keep the reader in touch with the constant changes to this dynamic area. 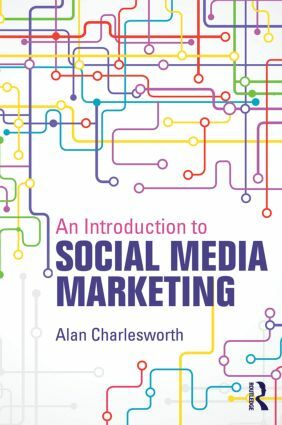 An Introduction to Social Media Marketing is the first of its kind and ideal reading for students who want to work in a digital marketing environment, as well as the traditional marketer who wants to get to grips with this vibrant, and potentially lucrative facet of present-day marketing.